A beautiful 2-story home built in 2007 situated in a wonderful neighborhood with a fully-developed basement. The property is fully landscaped with a flower garden in the front and a multi-purpose garden in the backyard with deciduous trees throughout the property (even one that blooms beautifully every spring). The backyard is extremely spacious and comes with external storage space in the form of a shed. There are three floors. 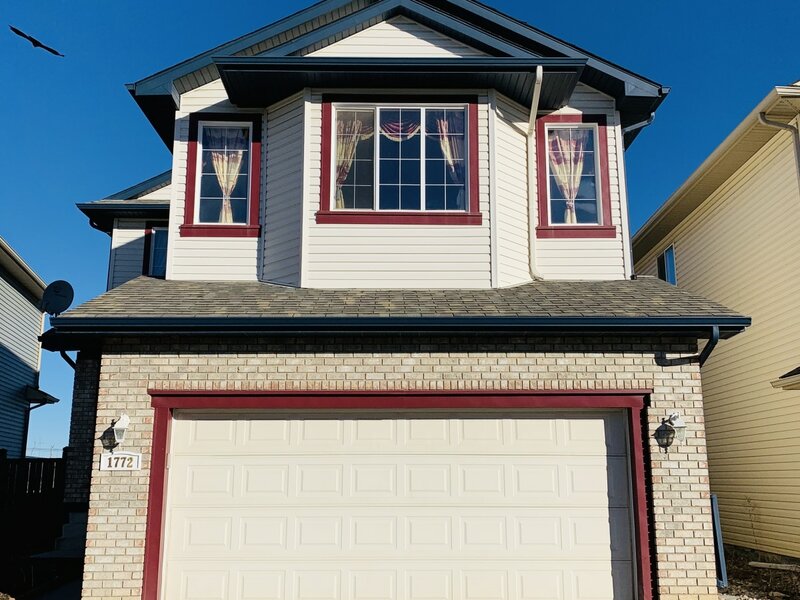 The upper floor is fully carpeted, has three bedrooms (the master bedroom has an en suite full bathroom with a jacuzzi and standing shower), 2 full bathrooms (including the master bedroom bath), a large, vaulted-ceiling and open living room, and an office section. The main floor consists of the half bathroom, the laundry room, the kitchen and dining room, lifestyle room, a cove, the access to the backyard patio, and the kitchen. The main floor is finished with a rich-brown hardwood floor coupled with complimenting laminate counter tops. The kitchen has lots of cabinets and a pantry ensuring there will be no lack of storage space. Finally, the basement recently developed in 2014, has laminate floors (exhibiting a hardwood-esque aesthetic), two bedrooms, a large living room, and a full bathroom. Window fixtures like blinds, curtains and curtain headings are included in the house. Air conditioning unit can be included with an additional fee. Hopefully you will love this beautiful, amazing home!